“The weakening of USD that we saw until the end of January is over. The trend has not been on the side of the USD bears for some time” - Commerzbank. 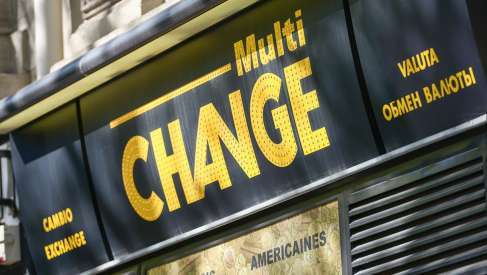 The Pound-to-Dollar exchange rate could face increasing pushback in the days ahead if strategists are right and the US currency reconnects with its strong fundamentals. The strength of the US economy was underlined last week when data showed US job creation reaching its highest level since July 2016. 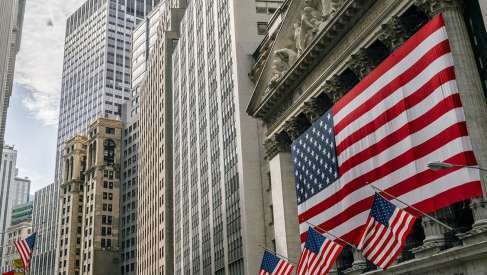 The US labour markets created more than 300,000 new jobs in February, according to the latest nonfarm payrolls report, which marked the 89th consecutive month of employment gains for the world’s largest economy. This was while the US unemployment rate held steady at 4.1%, its lowest level since the year 2000, despite a rise in the participation rate that came as the rip-roaring economy brought more previously discouraged workers back into the labour force. “Friday’s labor market report contained something for everybody: a surprisingly high number of new jobs (313k compared with analysts’ expectations of 205k) for the USD bulls and a surprisingly weak development of wages (average hourly wages +2.6% yoy compared with analysts’ expectations of 2.8%) for the USD bears,” notes Ulrich Leuchtmann, head of FX strategy Commerzbank. As much as strong jobs growth may have provided a filip for the US economy, weaker than expected wage growth for the month helped keep a lid on the Dollar Friday, given it is wage packets and their effect on inflation that means more for the Federal Reserve and US interest rates than jobs growth does. “It is unclear what the Fed is going to make of the development on the labor market and / or the disappointing development of wage inflation – as nobody knows how the Fed will manage the remaining exit from its unprecedented monetary policy,” Leuchtmann explains. When it comes to the Dollar a great deal of focus has been afforded to politics - think Trump, trade wars, tax and spending - and to the US Federal Reserve. 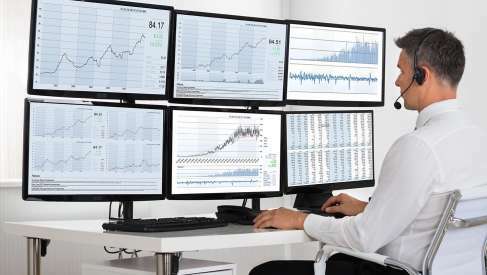 But, we are what the Fed does or doesn't do is ultimately secondary for the Dollar going forward told as Commerzbank believe traders have been ignoring US data and the underlying strength of the US economy for too long now. Leuchtmann and his team believe a recoupling of US economic fundamentals and the Dollar is underway, and this spells for a stronger Dollar. Leuchtmann’s call for the US Dollar to recover gradually over the coming months could be bad news for the Pound-to-Dollar rate given that much of the pair’s 14% gain over the last 12 months has been the result of US Dollar weakness rather than Sterling strength. Above: Pound-to-Dollar exchange rate shown at weekly intervals. The Pound is up by much lesser amounts against the rest of the G10 basket and by just 1.54% relative to the Euro over a 12 month timeframe. Sterling was quoted 0.13% higher at 1.3858 against the Dollar during the morning session Monday. Leuchtmann is not alone in his call for a recovery of the US Dollar as strategists are increasingly questioning how much longer the greenback can remain rudderless for when American fundamentals are as strong as they are and the rest of the world is yet to fully catch up. Gittler also flags recent changes in the Citi Economic Surprise indices. 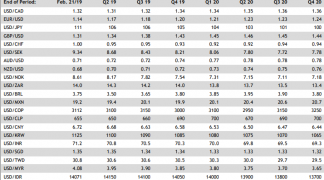 These are index measures of how economic data are performing relative to market expectations, with better than expected data being a positive surprise that generates a positive score and vice versa. A general rule of thumb to remember: currency markets don't react to data - they react to how that data comes in against expectations; therefore a country that is beating expectations on the data front would typically expect to see its currency rise. Gittler adopts a bullish stance on the Dollar as he notes the United States to the only developed country that has seen economic data surprise consistently on the upside of late, which is something that other strategists are beginning to note also. 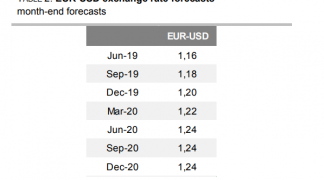 Analysts at Nordea Markets have this week warned that the economic outperformance of the Eurozone might underwhelm against expectation going forward, as it has already started doing as per the graph above, which could pressure the EUR/USD lower and aid the broader Dollar higher. “We expect global PMIs to roll-over in the coming quarter,” says Andreas Steno Larsen, an FX strategist at Nordea Markets. “Judged from the Chinese cycle, there are downside risks to e.g. German expectations in the coming months. Due to adverse currency effects, we expect German/European PMI levels to be more vulnerable than US dittos." 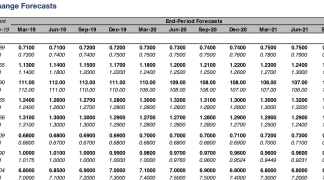 Larsen and the Nordea FX team forecast that the EUR/USD pair will trade sideways over the coming months, with an eventual break of the 1.2150 to 1.2550 range set to determine where the exchange rate will head next. Only time will tell if the Euro breaks out of its range to the upside or to the downside. 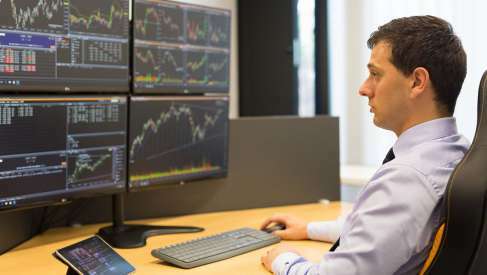 “We still think the pair is deemed for sideways trading over the coming months, and we await a technical breakout before turning either bullish or bearish on the pair. 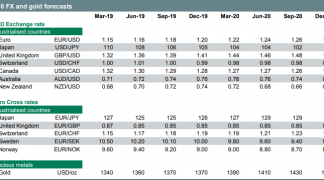 On the topside 1.2550 is the level to watch, while a break below 1.2150 could mean that the uptrend in EUR/USD is broken,” Larson writes, in a note Monday. The Euro was quoted 0.06% higher at 1.2310 against the US Dollar during the morning session in London on Monday.